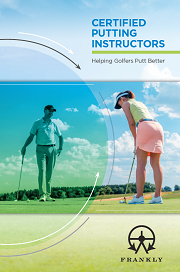 David Colclough is the Head of Coaching and Sports Science for the PGA of Great Britain and Ireland. He has spent the last 14 years helping create and deliver opportunities for golf professionals to build their education and knowledge related to the game. 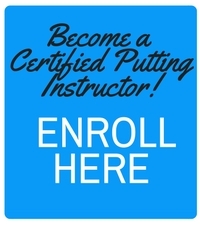 He assisted greatly in the development and introduction of the Certified Putting Instructor (CPI) Course for PGA Professionals and is pleased to see the benefits it provides for his members in taking the CPI Course online. “Professionals today are challenged with time away from their facility. The CPI Course being online allows them to fit it in between lessons and quiet times in the shop. This fits with research which tells us that location and travel are the barriers to learning. “The strong, robust framework provided by the CPI Course can especially help pros and their students. Any areas of deficit can be filled in around the framework. The business ideas are good because they turn knowledge into a revenue stream. Knowledge is nice, but it’s good to turn it into revenue and drive more business,” said Colclough. The ability to expand the professional’s knowledge base and personalize the experience for students is another strength of the CPI Course, according to Colclough. “The CPI Course can stretch professionals in areas where they might have been previously comfortable. It provides a system and gives the professional confidence in what they are teaching, but it is still flexible enough to individualize for each student. “There is no substitute for great education. I heard someone say recently that there is lots of information but very little wisdom. Colclough speaks with authority on this subject, not only having been a PGA teaching professional himself, but also going on to graduate with an M. Sc. in Sports Coaching. He learned from some of the best names in golf, getting his start with Martin Hall, a PGA Master Professional and a CPI who now has his own show on The Golf Channel and then working with Denis Pugh in Germany during his 9 years there, then on his return to the UK working with Alan Walker, another PGA Master Professional. “These were all excellent PGA members. They all had a desire to know more and get better. That rubbed off on me. Coaching was my first passion ever since qualifying as a PGA professional. “As a result, I really appreciate the value of having good people like Frank and other experts to call on, and that helps develop confidence in the education provided to assist professionals in developing their craft”, said Colclough.